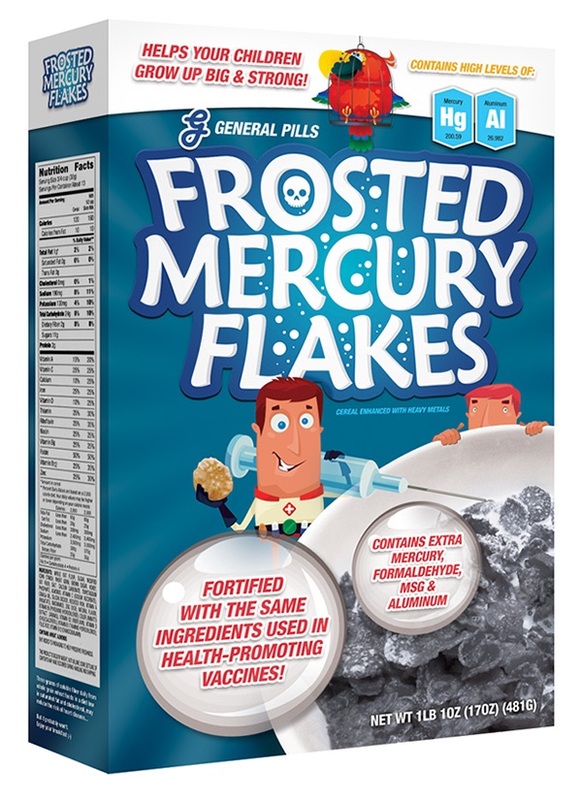 (NaturalNews) In order to make sure the children of California become just as brain damaged as the state’s legislators, California Governor Jerry Brown has announced a plan to launch Frosted Mercury Flakes cereal that’s fortified with the same health-promoting metals used in vaccines. The cereal consists primarily of sugar-coated mercury flakes that are stabilized with aluminum and preserved with formaldehyde — all the same ingredients still used in vaccines. It will be handed out for free to all California households. Households living in poverty or occupied by minorities will be given two boxes of the cereal. What Governor Brown won’t say publicly, however, is that California’s political leadership is intentionally trying to recreate Idiocracy while producing a new generation of autistic workers who can run the state’s ever-expanding bureaucracy which consists primarily of mindless, repetitive tasks. Frosted Mercury Flakes is manufactured by General Pills and a rumor is circulating that it will soon be available on the shelves at Whole Foods, right next to the brown rice protein. Yes the above is Satire….but sadly, based on truth….